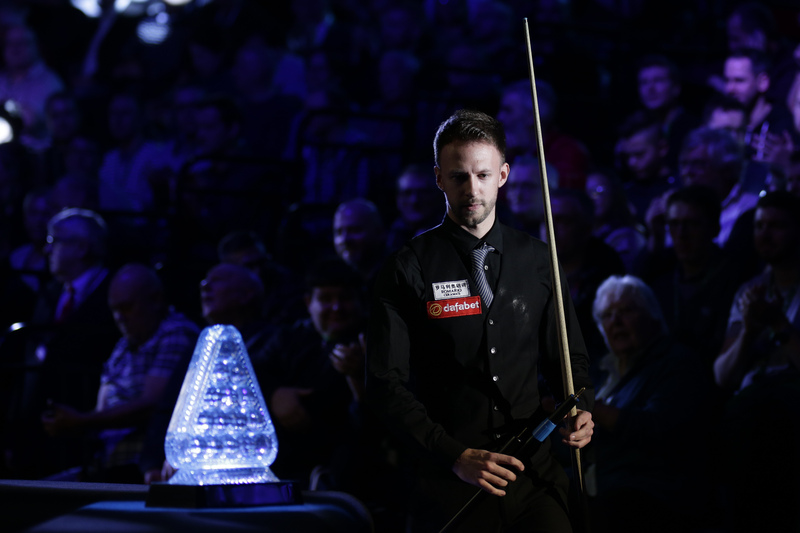 Judd Trump stormed to a 6-2 win over rival Kyren Wilson to book his place in the last eight of the Dafabet Masters at Alexandra Palace in London. Trump gains revenge for a gut-wrenching semi-final defeat at last year’s Masters. On that occasion Wilson fought back from 5-2 down to claim a dramatic 6-5 victory and reach the final, where he eventually lost to Mark Allen. 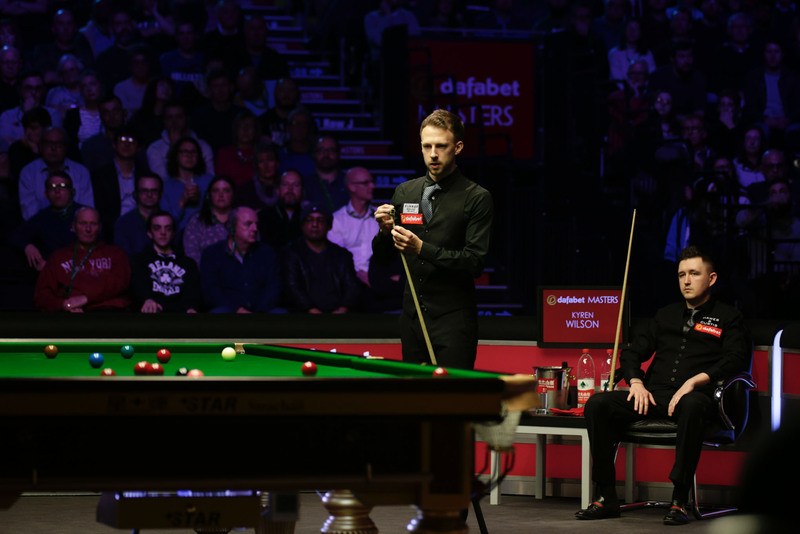 That was the beginning of a four-game win streak over Trump for Wilson in major competition, culminating in a 6-1 victory at last November’s Champion of Champions. The following weeks saw both players exchange tense words in the media, which added extra spice to this occasion. However, Trump will be pleased to have emphatically brought a halt to Wilson’s run this afternoon. 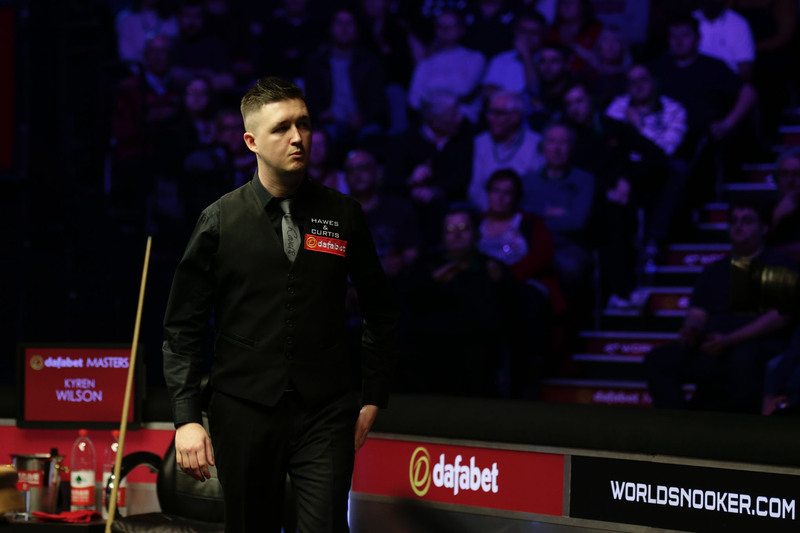 Trump, who has nine ranking titles to his name, will face either Mark Selby or Stephen Maguire in the quarter-finals. The 29-year-old from Bristol is yet to reach a Masters final, but will be bidding for a fourth appearance in the semis. There was a real intensity about Trump’s play from the off this afternoon. The Juddernaut came flying out of the traps with a sublime break of 128. He then doubled his lead to make it 2-0, before a crucial third frame. Wilson had amassed a 57-0 advantage, but missed a frame ball green. Trump stepped up to the plate and punished him by delivering a hammer blow clearance of 58 to move three up. He followed that up with a contribution of 81 to seal a clean sweep 4-0 advantage at the mid-session. After losing another frame when they returned, Kettering’s Wilson rallied to claw his way back into the tie at 5-2. However, Trump slammed the door shut on another Masters fightback with a break of 72 to clinch the 6-2 win. “It’s nice to win. I’ve lost the last few times against him and this is one I was really up for. I practised hard over Christmas and this was one I wasn’t going to lose. Neither of us want to lose to the other because of the rivalry,” said 2011 UK Champion Trump. “It was a good atmosphere. When you get rivalries like that and you’ve got a bit of competition in the audience as well, some calling out and stuff — it’s all good fun. I love coming here, I love the atmosphere and it normally brings out the best in me. Wilson said: “For me it’s just been about preparing for the Masters. I came here to win the Masters. I don’t know if he’s come here to win the Masters. I feel like it’s been quite centred on our rivalry. Fair play to him if he plays well and goes on to win the tournament.